Communication with prospects/applicants these days can be varied and via all types of media and it is often hard to decide which to use. Time is the biggest deciding factor and many social media platforms take up a lot of time to ensure the profile is continually up to date and interesting. However, there is still an important role to be played in your marketing by the email newsletter. A newsletter is a softer message to prospects with a sales message, but also information and updates. Many people prefer to receive an update with information and a more subtle sales aspect than a hard sell. 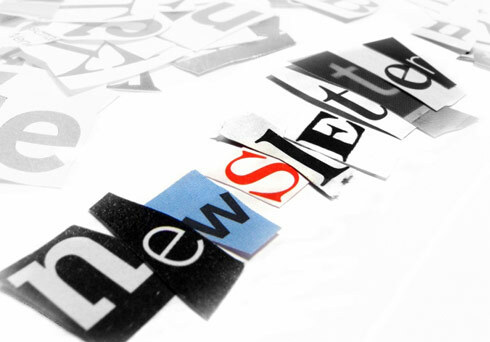 Your newsletter could contain updates, news or interesting facts. Have you considered interacting with recipients by having a competition and announcing the winners in the following issue? Our newsletter templates can be provided pre-designed or bespoke to your requirements. They are easy to use and can be stored on the UltraNet for future use or upload to your website. Contact us now for more information.